Best Seller Products extension shows best selling product for your Magento 2 store through slider. It displays product images on the left/right sidebar or dynamically in slide show with auto scrolling. 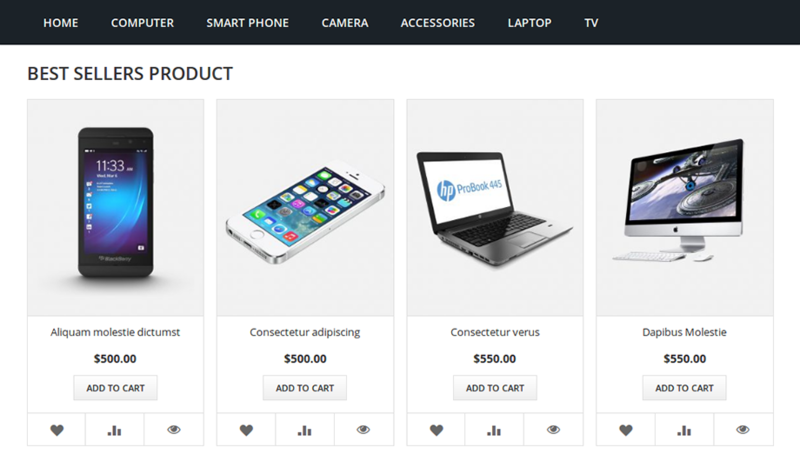 Best Seller Products slider Magento 2 extension shows system generated products as best sellers. This extension is easy to setup and give many options for settings in admin panel. 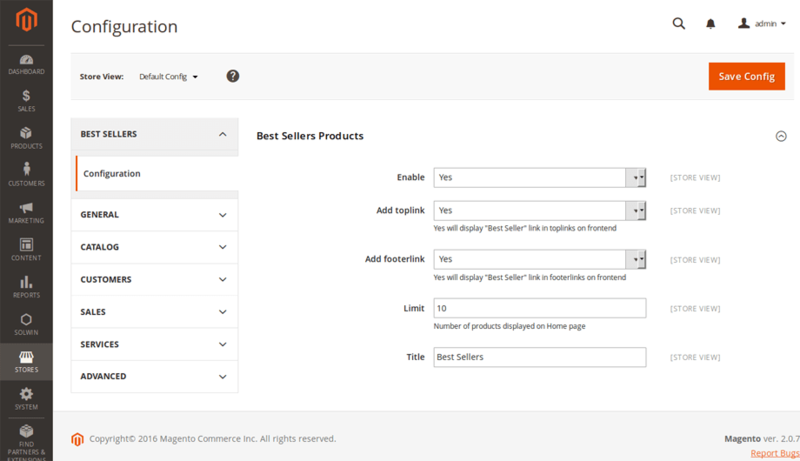 Using Magento 2 Best Seller extensions admin can display bestseller products on home page and also in left/right sidebar as a widget in a slider with navigation arrow. You can also set a product limit for sidebar and homepage products. The customer can add this product directly to Cart, Wishlist or Compare from Bestseller product block on home page. 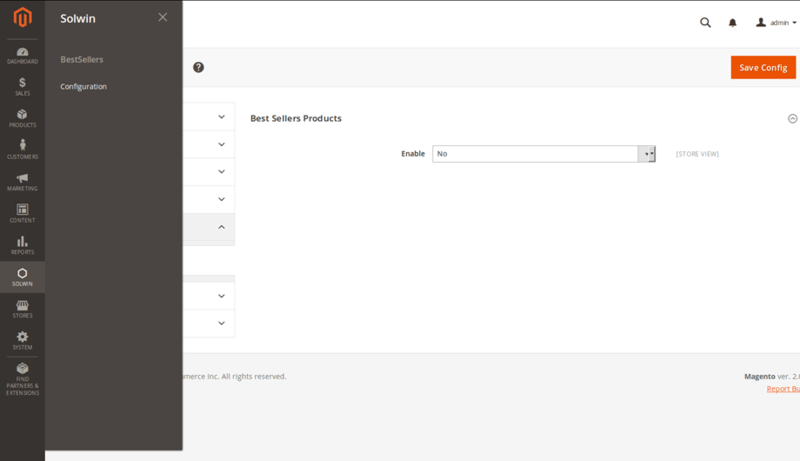 Easily display best seller products slider in sidebar or within any block section. Shows system generated products as bestseller products. Adds valuable credibility to the store for new engagements. Drive attention of the website customers/visitors to the products. Developer even gave me support getting it working with my custom theme for free!!! Download the Best Seller Products extension .ZIP file from solwininfotech.com using your Solwin Infotech website account. If you are using Magento 2.0.x then you need to extract solwin-bestsellers-m2-2.0.x.zip file. If you are using Magento 2.1.x then you need to extract solwin-bestsellers-m2-2.1.x.zip file. If you are using Magento 2.2.x then you need to extract solwin-bestsellers-m2-2.2.x.zip file. If you are using Magento 2.3.x then you need to extract solwin-bestsellers-m2-2.3.x.zip file. If you are using Magento 2.1.x then you need to extract solwin-bestsellers-m2-EE-2.1.x.zip file. If you are using Magento 2.2.x then you need to extract solwin-bestsellers-m2-EE-2.2.x.zip file. Now, you can see the Solwin menu in admin panel. Please go to Solwin -> Best Seller Products -> Configuration and select Enable to Yes.